The basic formulations for our range of concentrates, shown below, contain 100% naturally occurring beneficial bacterial cultures, enzymes and plant extracts that have been used for decades globally for large-scale remediation, pollution control, odour control and environmental protection over a wide range of industrial and commercial applications including health, mining, oil and gas, waste treatment, sewage plants, farming and industrial processing such as paper milling and food production. Our range of products are based on these proven applications but specifically designed for domestic and smaller commercial applications where similar problems exist, albeit at a much smaller scale, after all, if it works on the big jobs it will work on the little ones as well. None of the organisms found in our products are genetically engineered. 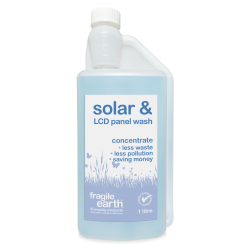 All our products contain only 100% natural ingredients they are concentrated to save money and reduce waste they provide immediate and residual action and in all cases are manufactured and designed to be non-toxic, safe to humans, animals and plants both in use and disposal. There's an awful lot going on inside our little bottles. 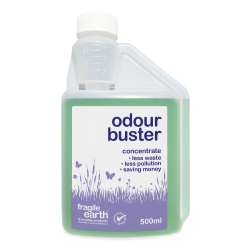 Odour Buster - eliminates bad smells on a wide range of surfaces, fabric and pet safe. Biodegradable formula safer than chemicals. High Strength Industrial Descaler- Super strong organic acid cleaner - removes limescale - NO conventional solvents or acids, rapidly biodegradable, non-ozone depleting, non-carcinogenic, non-toxic. Sanitaryware Descaler - Highly effective - removes limescale - NO conventional solvents or acids, rapidly biodegradable, non-ozone depleting, non-carcinogenic, non-toxic. All Purpose Cleaner - biological cleaner, eliminates organic soils, digests grease, oil, protein, fat, starch, controls odours. Fabric and upholstery safe.